If you are looking for a place to stay in Paris that is within easy walking/metro distance from all of the big sites, this is the place for you. We thoroughly enjoyed our stay at the Sully Hotel and would highly recommend it for other travelers. Don't expect frills or large rooms, but if you are like us and simply need a clean, comfortable place to sleep then this is the place for you. A hotel, not a hostel so not a place to meet new people. 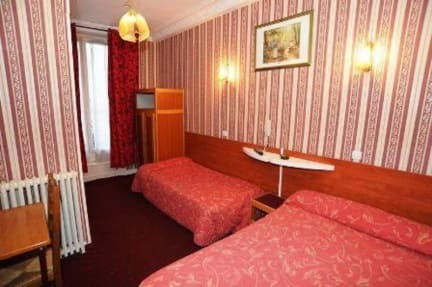 However, was in the center of Paris by the Marais, within walking distance of Notre- Dame and not expensive for Paris. Beds were very hard and decor was a little stuffy, but except for that we had a lovely time and were happy with the accomodation. Warning, there is no elevator you you might have to walk mutiple flights of stairs. Had a really good experience there, staff were helpful, the room was very small but for the price in such a central location you can't really complain! Central and old-fashioned hotel. Regarding cleanliness, it has still much to improve.